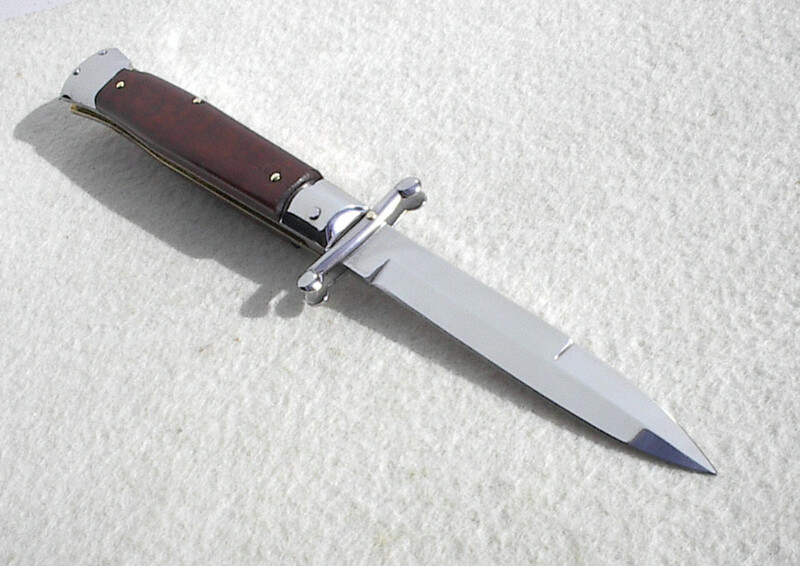 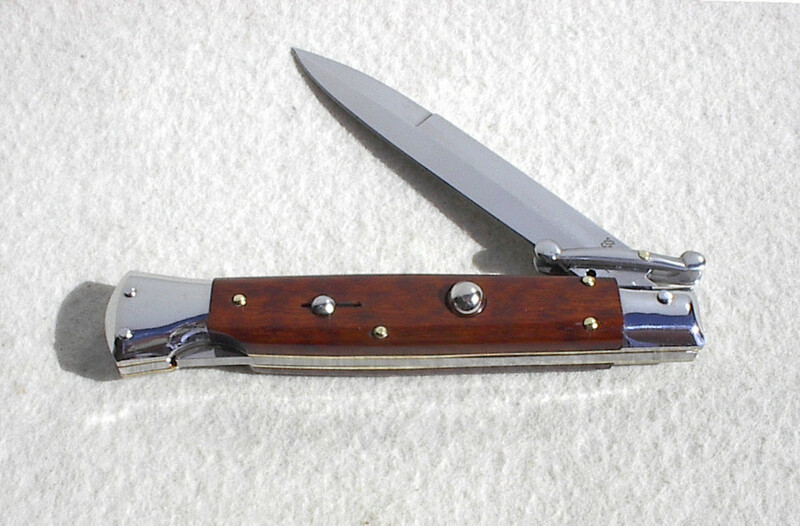 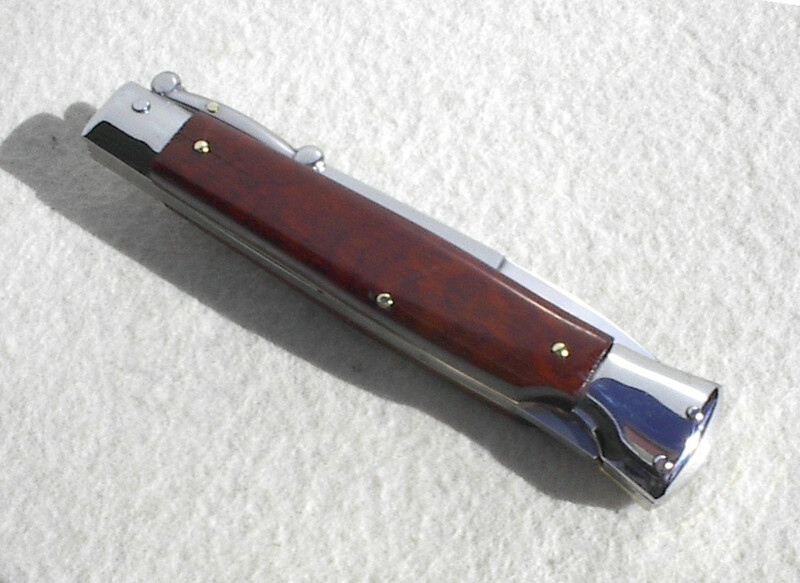 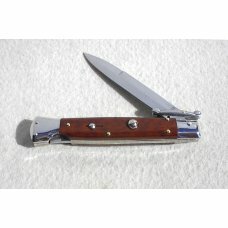 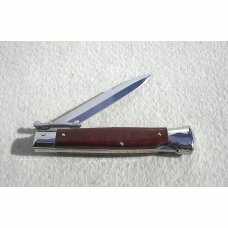 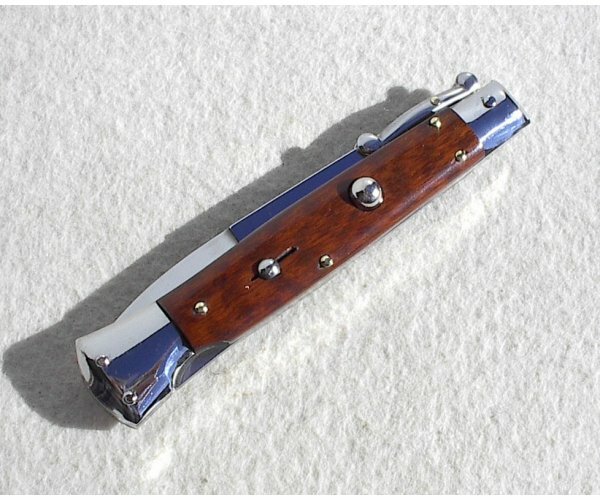 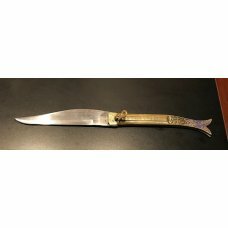 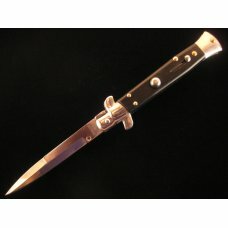 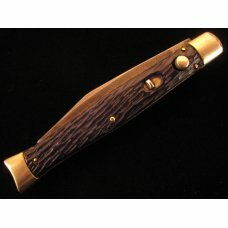 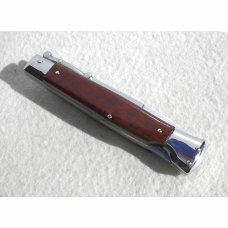 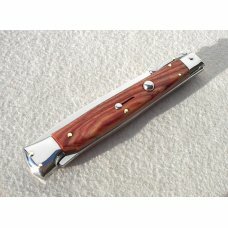 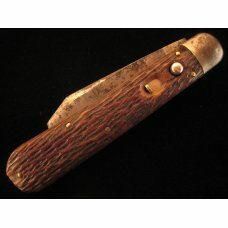 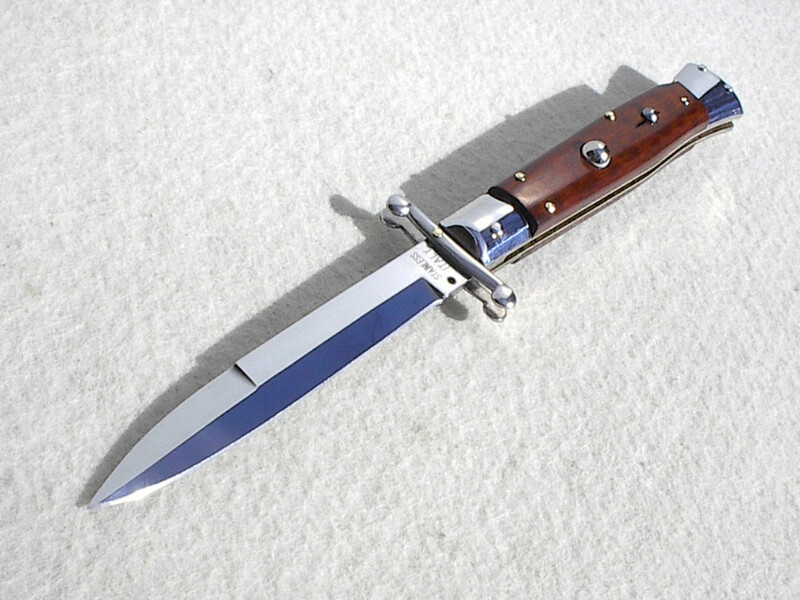 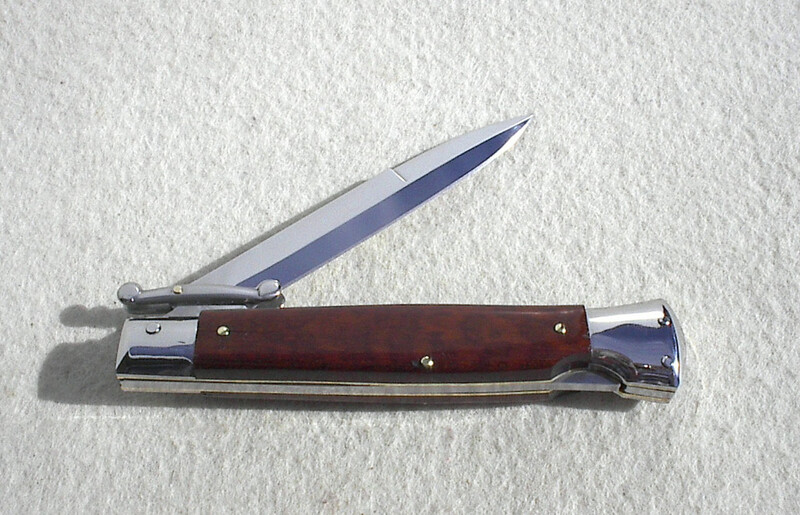 NEW OLD STOCK ITALIAN STILETTO 9" SWING GUARD LOCK BACK SWITCHBLADE KNIFE MADE IN 1980S WITH GENUINE SNAKEWOOD HANDLES. 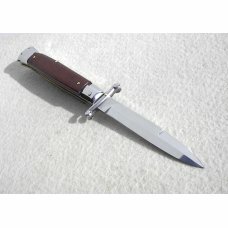 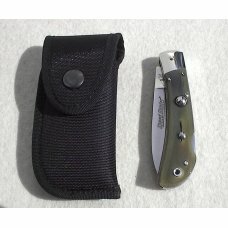 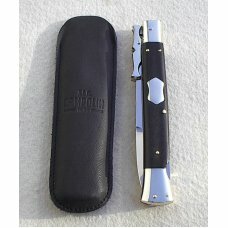 IT HAS A MIRROR POLISHED STAINLESS STEEL AISI 420 BAYONET BLADE, STAINLESS BOLSTERS, BRASS LINERS, SAFETY. 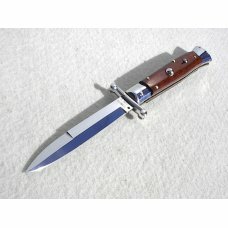 BLADE SITS DEEP, FAST ACTION AND LOCK UP IS SUPERB. 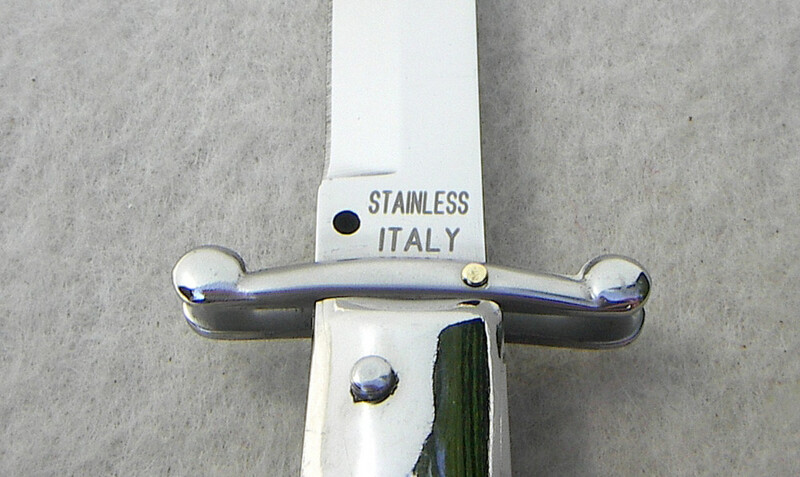 THE TANG IS STAMPED ( STAINLESS ITALY ). 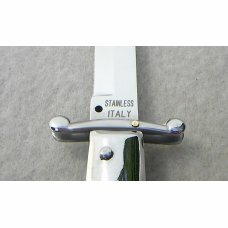 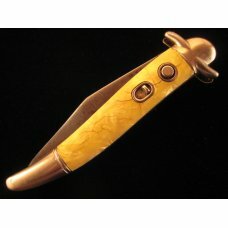 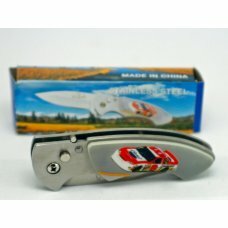 THIS IS A BEAUTIFUL KNIFE MADE IN MANIAGO ITALY WITH NO ISSUES. 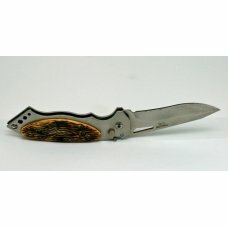 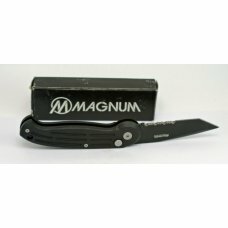 If this item is purchased with another item from mhbknives that has a shipping cost of $5.00 or more, standard shipping to US addresses for this item will be discounted to $1.00.